Mark Carlisle is the best Realtor in Albuquerque. My wife and I were very lucky to discover Mark. He has lived, eaten, and breathed real estate for many years. He truly knows the business inside and out. He is a full time Realtor. We were looking for an income property. Mark was able to point out all of the pros and cons of all the neighborhoods we looked at. Mark has a magnificent understanding of the mindset of the sellers, the Realtors, and the lenders process. We had never looked at short sales before and Mark walked us through the process deftly. During negotiations Mark was able to advise us correctly in making many high pressure decisions. Throughout the process Mark blended business with a great sense of humor and personal relation. We feel like we have a new long-term friend and business associate. Mark was clearly the right professional to find an exceptional home for me. I had interacted with 3 other realtors and when I began working with him, it was clear that he was the most motivated to help me. He took time to first assess my lifestyle to gain an understanding of what I was looking for. He then opened me mind to many possibilities. He previewed homes to eliminate taking my time to look at properties that he knew were not right for me. Given his expertise and outstanding customer service, I've already referred him to 2 of my friends. Mark Carlisle was helpful in every step of the process, he is very professional and met every need that we encountered along the way. The pictures that were taken to post our listing were awesome and showed great detail of our house. Was very impressed with being able to look at them and it was as if we were walking through the house. He did several open houses to promote the sale of our house. Once we received an offer it was smooth sailing all the way until the end. I really appreciate Mark for all of his hard work that he put into selling our house. I will always recommend him if I hear of anyone that is either looking to sell or buy a home or land. He made our first experience on selling a home a pleasant one and we look forward to working again with him in the near future. Also, Mark is honest, credible, respectable and easy to work along side. He really made this experience a pleasant and enjoyable one. From the start of the process of deciding to list our house to closing, Mark was professional, personable and full of energy. 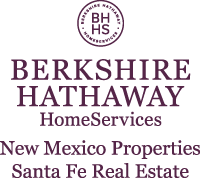 We would highly recommend him to anyone in Albuquerque wanting to sell or buy a home. His wife Jill took the professional photos of our home and her attention to detail and skill in putting together photos and video were spectacular. Thank you to Mark and Jill for going the extra mile.